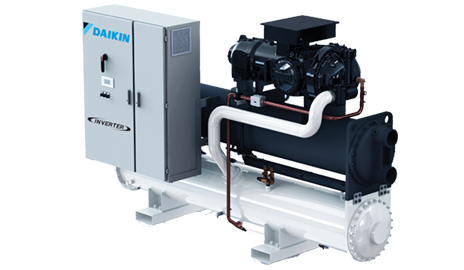 Daikin has a broad range of water-cooled chillers with a variety of compressor types to suit your specific application requirements. 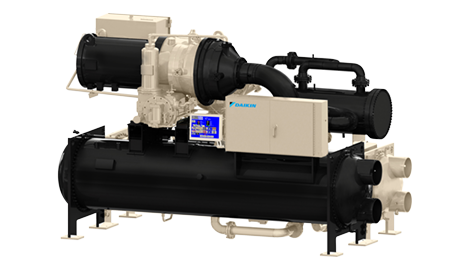 Scroll, Screw and Oil-free Magnetic Bearing Centrifugal compressors are available with capacities ranging from a tiny 13kW chiller to a much larger 9,450kW. 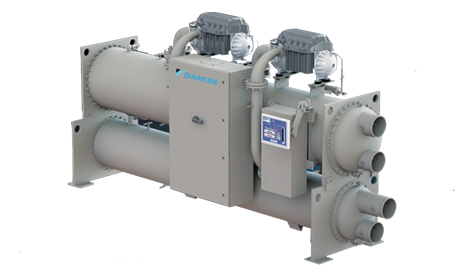 There is a quiet, efficient, reliable Daikin water-cooled chiller for the flexibility to match your application requirements.